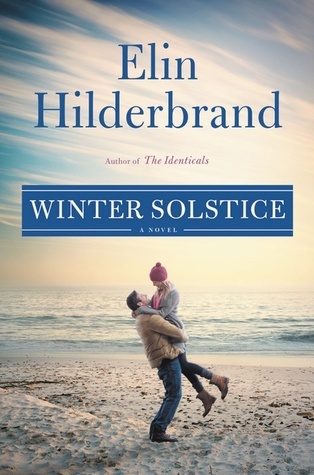 This entry was posted on Monday, December 31, 2018 and is filed under Book Review,Christmas,Drama,Elin Hilderbrand,Family,Fiction,Holiday,Winter Solstice. You can follow any responses to this entry through the RSS 2.0. You can leave a response. It's nice to reflect back on the year. I have as well, and have returned to my beloved reviewing. I feel ashamed because I've never read Hilderbrand. Isn't that awful? I'm glad you enjoyed this book! I'm so happy to not only hear from you, but to see that you're back to reviewing books. I had never read any Hilderbrand before this series, so don't feel too bad! Thanks! I hope you and your family had a great holiday! It's always interesting for me to see contemporary series that are true series with an overarching story, as they tend to be companions. I am familiar with Hilderbrand, though I have yet to read her. Glad to hear the finale was satisfying.